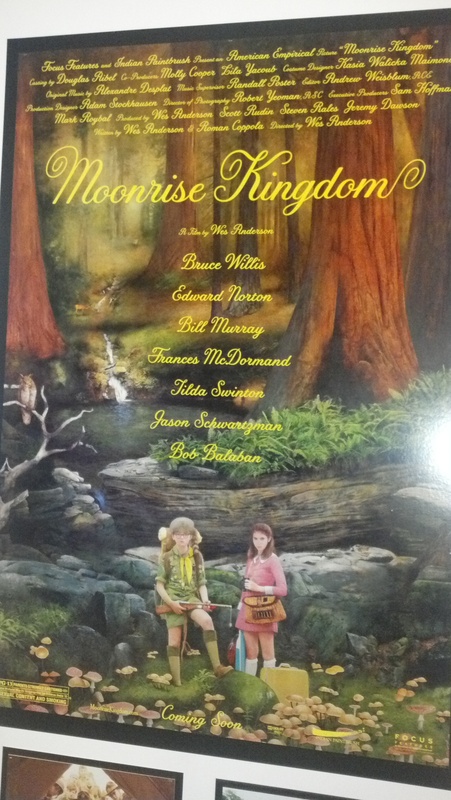 Moonrise Kingdom follows the adventures of a misunderstood Khaki scout named Sam Shakusky (Jared Gilman) & a troubled girl named Suzy Bishop (Kara Haywood). After writing each other for a year, Sam decides to abandon his scout troop so that he and Suzy can run away together . Once the adults realize that the kids are missing, it is up to a determined search party to find the lovers. The search party comprises of police Capt. Sharp (Bruce Willis), Scout Master Randy Ward (Edward Norton), Suzy’s parents; The Bishops, (Frances McDormand & Bill Murray) along with a troop of Khaki scouts. With a story loaded with quirky characters, Moonrise Kingdom features entertaining performances from an accomplished cast. Bruce Willis, synonymous with playing the ‘tough guy’ roles displays a great performance as a gentler cop determined to find Sam. Edward Norton plays Scoutmaster Ward with the same dedication & enthusiasm as he has shown in the past. Frances McDormand and Bill Murray do a wonderful job as playing Suzy’s parents, the Bishops. And right on schedule, Murray manages to add a bit of comedy that fits well with the movie. In addition to Murray, you can look forward to funny performances by Jason Schwartzman as Cousin Ben and Bob Balaban as a character simply known as The Narrator. What was really impressive was the acting talent that was shown by Kara Haywood & Jared Gilman. The two had good chemistry together & were believable as misconstrued youth in love. It will be intriguing to see what the future holds for these two young stars. Aside from its stellar performances, Moonrise Kingdom boasts a very unique look and feel that is felt throughout the entire movie. The cinematography is breathtakingly beautiful. Under Wes Anderson’s direction, cinematographer Robert D. Yeoman points the camera in such a way that each shot could be a portrait in a museum or part of a dreamlike state. The background of each scene contains details in the background or simply illustrates the beauty of the setting. In addition to the camerawork, the music that was used also helped enhance the enchanting aura that surrounds this film. The compilation of songs by Alexandre Desplat, the Choir of Downside School, Purley, & Leonard Bernstein create a beautifully hypnotic ambience. In addition, songs by Hank Williams & Francoise Hardy are featured in the movie, which capture the sound of the 1960’s.